No Hands CPR in 2020? Healthcare providers around the world were shocked, but accepted “Hands Only CPR”. A new document, however, reveals an even less aggressive stance on management of cardiac arrest. A recent leaked document has revealed that 2020 guidelines for the management of cardiac arrest will take an entirely “hands off” approach. According to Dr. Lars Fopilo, an expert in the field, “Compressions during CPR might help, but there is something far more important we should be doing first”. Dr. Fopilo has discovered that the primary cause of cardiac arrest is childhood vaccination, and has discovered a fail-safe treatment. A fail safe treatment for cardiac arrest? Enter the De-vaxitron 500. This simple device, which uses a high-speed, low-drag, nano-suction modulator, can remove all traces of evil childhood vaccines from a patient experiencing cardiac arrest in under 5 seconds! “Nearly all patients experience a complete reversal of cardiac arrest after application of the De-vaxitron 500” says Fopilo. Dr. Fopilo assures us that we do not need to worry about the dangers of de-vaccination, as all of the diseases that the vaccines prevent are “mostly made up”. Of course, this article is not true at all, but I just couldn’t resist. It seems that I always forget to pull a good April Fools day prank, so hopefully this one gives everyone a good laugh. I will be putting up some fresh, new (real) content on Monday, but since you’re here you should check out some recent content, which I have placed below. Have a safe weekend everyone! 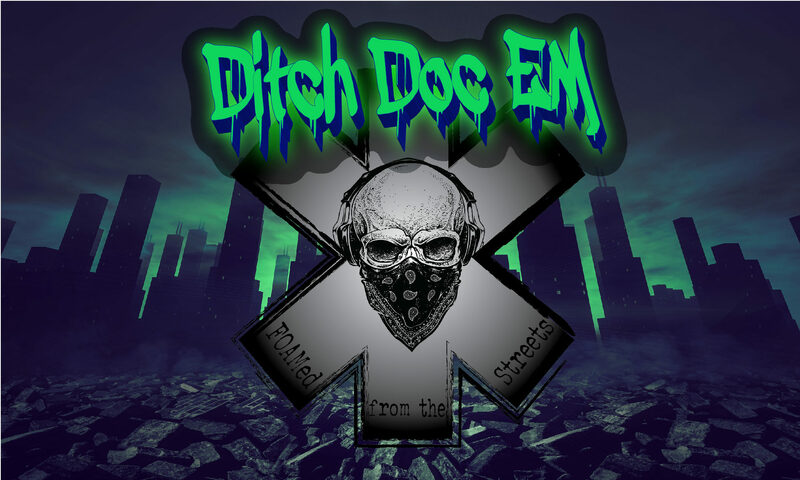 Get Sweet Ditch Doc EM Gear Here!